Stocking fillers are a good thing to have to give little novelty gifts alongside the bigger gifts. You don't have to spend a lot of money to give nice gifts. 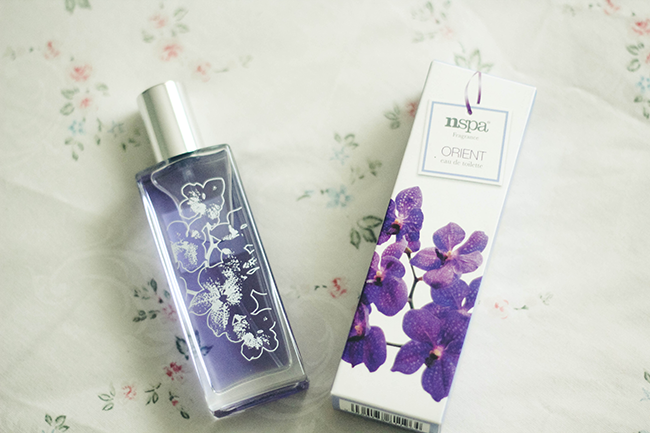 Take this EDT spray from NSPA fragrance, there are two other fragrances Bloom & Pure but I'm going to do a brief review of Orient. This oriental scent has notes that include amorous ambers, ornate orchids and sensual silks, lily, vanilla and musk. At first smell, the vanilla is very noticeable, of course I love that there is also the essential oil of Mandarin for a deeply seductive aroma. It's not so musky that it's one for the evening, it's wearable for a daily, daytime wear an ideal stocking filler for teens - adults.